A year ago, I would have opened this post with Ostara or Spring Equinox greetings. Instead this year I wish all a happy Alban Eiler. This year I’m excited to announce I will be initiated into the Bardic grade of the Order of Bards, Ovates, and Druids. When I began my journey with tarot many years ago, I never thought it would ultimately lead me in this direction. It certainly opened my eyes to new spiritualities. In fact, I tried on eclectic for quite a while until I found the grove to which I currently belong. Tarot has been the start of many journeys for me and impetus to join many of the groups to which I’ve found myself belonging. Though life kept me more than a bit distracted last year, I’m happy to be participating in another blog hop. I’m quite terrible at keeping my blog up-to-date without the group’s friendly nudges to write again – a practice which I’ve promised myself I’d do more of. So, here I am, celebrating the equinox and bringing another post to bloom! For this fabulous hop, our theme is tarot muses, of which I’ve chosen three. For me, the Queen of Wands, Queen of Swords, and 9 of Pentacles has factored heavily into my growth throughout the year. I’m happy to find myself at a place in life where I find myself reaping the benefits of their lessons. With that, I’d love to share the lessons I’ve learned from each of these ladies. I chose for this post to work with my Linestrider deck by Siolo Thompson. Her beautiful watercolor designs evoke images of spring, not to mention her ability to encapsulate so much emotion in simple (and incredibly feminine) images truly stir my soul. The Queen of Wands is a woman who knows and owns her power. Much like the Magician, if she wills it, she can manifest it. Often pictured with a black cat, her ties to the occult are clear. She’s full of power, but not just any power, unbridled feminine power. She lives in the present. She is here, and she is now. Her instincts steer her in the right direction, and when they don’t, she owns her ‘oopsies’ with the grace of a queen. There’re no apologies from this one. In fact, her passion can burn a bit too hot for some. At times she can be forget herself and burn those close to her. This lust for life is contagious and others want a taste of it for themselves. It’s this desire the queen can manipulate for her own ends – may they be well intentioned or not. After many surgeries, female power is one I’ve struggled with repeatedly. I have moments where I feel her shining through me, only to feel her slip away with a loud hiss. The queens all must balance the element of water with their suit’s native element, and for the queen of wands, it’s a battle between fire and water. It is here she has another connection to the major arcana card, Temperance. As my astrological card, Temperance is yet another card I’ve spent much time contemplating. Balance is important in all things, but how do you allow the flow of water without it extinguishing the fire within? It’s this queen who helps me understand how to both feel and flame. Almost in opposition to the Queen of Wands is the Queen of Swords. Ruled by air, she is not here or now. She’s a woman lost in thought, full of intellect, and contemplating the wisest steps to the future she wants. This queen can manifest as well, but it is the product of much planning. She has a dream and she can bring together all the right information to plan the path forward. However, her calculations can be cold. Her stance against anyone who moves against her or simply has the misfortune of standing in her way are cruel. She’s not a heartless woman though. As with all queens, her air is balanced with water. It can make her anxious and unsure that her path forward is the right one. She lacks the passion the queen of wands embodies, and so she struggles with the concept of simply going with her gut. Her unparalleled ability to put aside emotion and settle swiftly on facts makes her a powerful force to channel when facing tasks which require you to put aside deep hurts and continue forward with sword swinging. It is her that keeps me walking when my fire has long since burned out, and I’ve lost faith in myself. She is a true, though harsh, sister to the queen of wands. There is one card within the minor arcana that has a power and personality so strong that it could easily join the court cards on a night out should it so choose. The 9 of Pentacles functions, for me at least, almost as a courtesan to the court cards. She is strong, powerful, and self-made. She has manifested greatness into her life using all her skills as a woman. Falcon in hand, her queen of swords-esque fierceness is unquestionable. Her wit is sharp, and with it she has felled many who stood in her path. It is in the spirit of the Queen of Wands, however, that she relaxes provocatively amongst her finery. She enjoys the now of her achievements, and her earthiness may have been helpful in winning some of her battles. She has done much to deserve her respite, and she will do much more to continue her life of luxury. She reminds me to stop and look around me and congratulate myself on my achievements. It’s okay to stop for a while to enjoy yourself. However, all of it was hard-won. Even in leisure I must remain sharp. More is always around the corner, and the work never ends. By nature of being minor arcana, though, she carries with her another lesson the queens more softly embody. Her nine-ness resonates with incompleteness. She is only a stop along the way to more, to better, to everything. She could remain stuck as a nine forever, and it wouldn’t be a horrible place to stay, but nothing is meant to remain in stasis. Eventually her lust for adventure will bring her to the next stop on the way, which is the 10 of pentacles. This lesson is one I struggle with. My inner queens are often at odds at how to move into this next stage and often at odds over if I truly even want to. However, in the spirit of Alban Eiler I must eventually learn to embrace new adventures and try new things to truly blossom. This post is part of a series. Use the navigation to browse ahead or behind in the series, or visit the master list to go directly to a blogger. If you are a tarot reader with a blog and wish to join future hops, join our TarotBlogHop Facebook group. We have all had the experience of doing a tarot reading which just doesn’t seem to make sense. 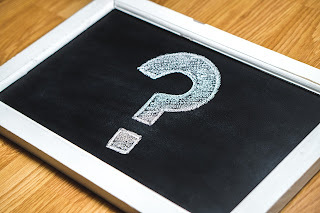 We form our questions, shuffle the cards, lay them out, and then when we look at the cards, they don’t seem to come together in a way that makes sense of the question asked or the situation being examined. This shouldn’t be a signal to reshuffle immediately. While the problem could be the result of your cards needing to be cleansed, there is usually nothing wrong with the cards, and the reading needs to be looked at differently. Often, when Tarot cards don’t seem to make sense, it is because you don’t know what it is that you know. Tarot works with the subconscious part of your mind that pulls in immense amounts of information from the world, much more information that our conscious mind can manage. As such, while our subconscious mind knows what is going on, and pulls things out in the cards, our conscious mind can lag and be unable to make sense of the information being presented. This is a case of not knowing what it is that we know. Often this means that you need to let the reading sit in your mind for longer and give your conscious mind time to put all the pieces together. In this case, a good idea suggested by Numerologysign.com is to record the reading in a tarot journal, and then return to it the next day after you have had a chance to process it further. Sometimes when focusing on the future and the outcome of a situation, the reading can be unclear because the future is in flux. The future is not set in stone. While the energy of the universe is pushing everything in a certain direction when it comes to our lives, our intentions hold huge sway over what the future will look like; our decisions matter. This is how Tarot helps us take control of our lives, by showing us the trajectory that we are on and giving us the chance to change it if we want to. If a key person in a situation is suffering from indecision, and changing their mind regularly, it can be difficult to see the future of that situation, as the intention is not yet set. This is often a sign that the client needs to take time to consider what it is that they want from the situation, solidifying their intention. You can then revisit the situation after a period, and the future will hopefully be clearer. Often the problem is not that the reading doesn’t make sense, but rather that we don’t like what we see. We are masters of lying to ourselves in the face of things that we don’t like. This clouds our judgement, and that of our clients, who won’t exactly lie to us, but will block out and therefore not share information that will make the reading clear. A reading like this too benefits from being slept on. Information which can be incredibly difficult to accept in the moment can start to make sense when the conscious mind is given time to process it. Record the reading in a tarot journal and return to it in a few days, hopefully with a more open mind. If you repeatedly find that your readings are clouded or don’t seem to make sense, it could be that your cards have picked up energy that is interfering with your readings. Tarot is all about energy. You use the cards to channel your energy, that of your client, and the energy of the situation that you are delving into. 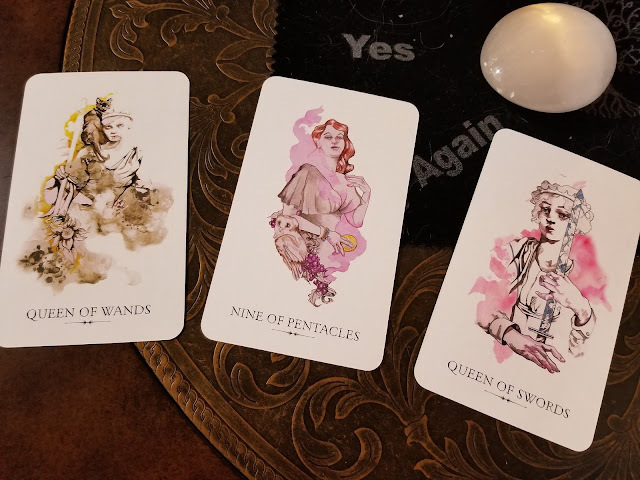 The tarot cards work because they can pick up on this energy, but sometimes energy from particularly strong readings can stick to the cards, interfering with future readings. When this happens, as well as having readings that seem clouded, you will probably find that you struggle to know when to stop shuffling. There are some simple ways to cleanse the energy of your cards. You can do a simple reset shuffle where you put the cards back in their original order, and then spend a few moments with each card, remembering what it signifies for you. After this you can shuffle the cards again, re-imbuing your energy into the cards as you move them through your hands. Another alternative is a sun or moon bath, which simply involves placing your cards somewhere that they will be bathed in the light of the sun or moon for a couple of hours. You can also store your cards with a crystal that draws energy, such as a Spirit Quartz. Your cards aren’t the only thing that can pick up excessive energy from a tarot reading, both you and your space can pick up on it as well. Cleanse your space by smudging it with Sage incense. Pass the incense stick around the area filling it with smoke, while visualizing the energy in the space dispersing. You can similarly place crystals that cleanse energy within the space. For yourself, you can smudge yourself with incense, or conduct a simple meditation practice to renew your energy. If you feel like a particularly strong or negative energy has attached itself to you, it is also possible to conduct a cord cutting ritual. Select a crystal that dispels negative energy, such as Black Tourmaline. Hold it in your dominant hand and make cutting motions in front of your body while visualizing cords of negative energy that have attached themselves to you being severed. 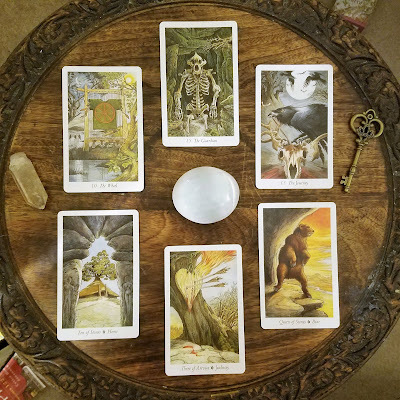 While with these types of tarot readings it can sometimes feel that we are trying to make sense of nonsense, this is not the case, and the fact that the reading is clouded is itself useful information. It can tell us that while we think we have made up our mind about something, we need to admit that we haven’t. It can also tell us that one of the things holding us back is our fixed mindset and refusal to accept certain truths. This knowledge itself can help us unravel the problem. Darkness rules the winter months as we move toward Yule, the longest night of the year. Yule is a time of hope, but also encroaching darkness. The cold creeps in and we fight to keep it out. We fight to make it through the darkest night of the year with the hope that the days will begin to lengthen and the sun will eventually return to its zenith. To keep this hope in our hearts, we spread cheer through gift giving and a bright fire in the hearth. The Yule log burns through the night, chasing out darkness. The Christmas tree brightens the home with cheerfulness. For me, this is one my favorite time of year. 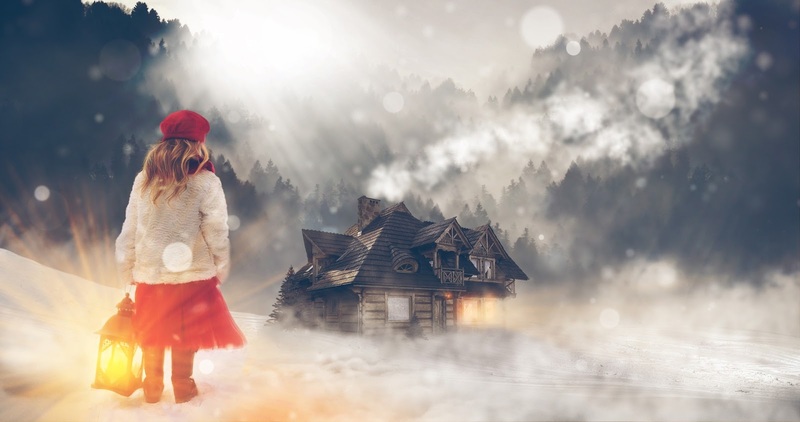 I enjoy the cool weather because without the cool weather, we would not be able to enjoy the coziness of lit fires, warm sweaters, and fuzzy boots. For many though, there is no fire to look forward to. With the cold creeping in and cheer no where to be found for them, only darkness can reside. The tradition of Yule is an important one. We must find our cozy to carry our hopes forward just a little bit longer. 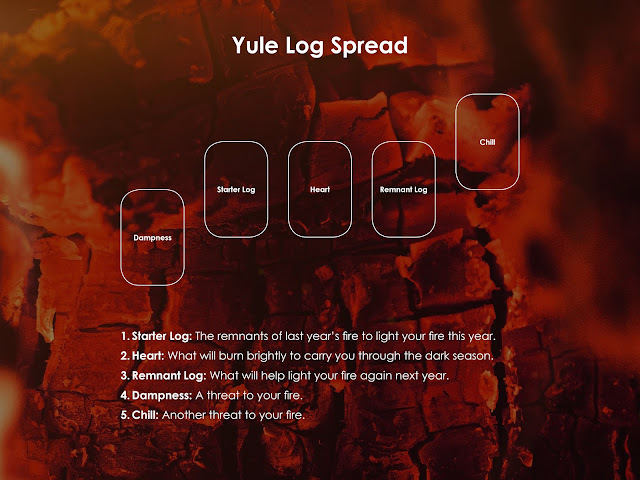 Yule log traditions embody this with keeping a piece of the log for lighting the next year's fire. Each year carries forward the hopes of the year prior. The remaining piece may be small and almost burnt away, but it can light a bright new fire to carry into the next year. I have found my inner flame waning, and I have been struggling to keep it lit this year. It has only been with the moments of shared cheer that I've been able to keep my tiny light lit just a bit longer. I'm moving toward a new year with a waning flame, but hopefully it is just enough to give me a fresh start in the coming longer days. I started by laying the cards for the log itself and put down the threats to my fire last. I was surprised to see a returning card from last year's Yule blog hop spread, The Sun. It seems the wands have more for me to learn as well! Last year's spread asked me to start as Page of Wands to find my fire. The Magician - Gwydion appears as the starter to my log, reminding me there is always an opportunity for redemption. The Magician manifests greatness and creates much out of seemingly nothing. With that power I can summon the power of the Sun - Llew Llaw Gyffes and overcome the things that have been seeming to get me down. Last year, I was asked to start from the beginning finding my passion. This is still a work in progress as I involve myself more and more in my Druid Grove, settle into my new home, and find the places where I belong. I'm not quite ready for the Knight of Wands, and so it is reversed. This what I will carry into next year to light my fire, but I still have much work to do. There have been threats to my flame, and I have felt the sputters throughout the year. The King of Pentacles can be one of overbearing male energy. This year I have felt myself faltering under the grind of holding my own with male colleagues and commanding respect from male peers. Unrealistic expectations also threatens my warmth as The Fool reminds me. 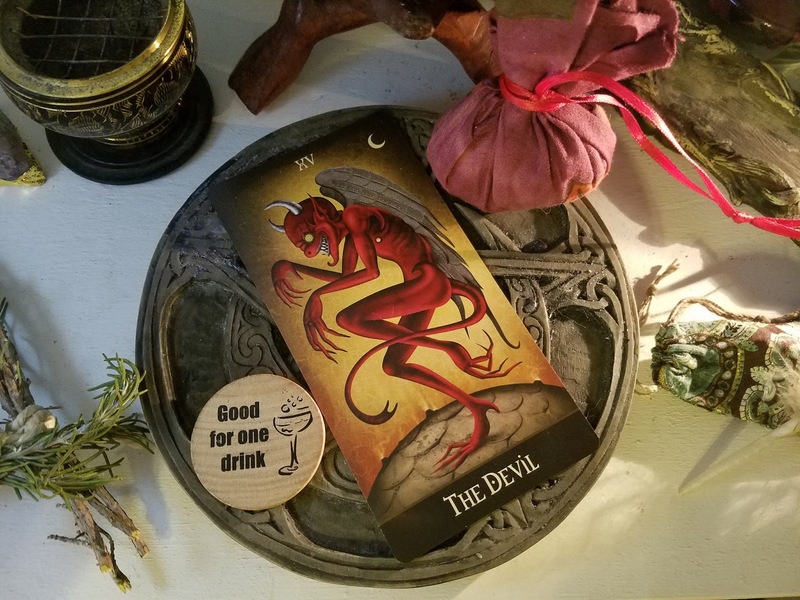 I find myself overly tempted by fresh starts to point of tossing aside the work I have done just to get away from the threat the King of Pentacles presents, but I shouldn't let myself be chased foolishly away. I can stand strong and burn brightly without wavering in my resolve. I feel brave knowing I can carry this fire forward. There is always a remnant from before, and that I can use the fading embers to relight and start anew. the Llewellyn I should have known better. I'm an avid collector of decks; however, over time I've found myself getting bored with the artistically stunning, but mythos lacking decks. I know many readers prefer decks which visually stimulate them for intuitive readings, but I generally prefer decks which offer a narrative. Unfortunately with my reading style and deck preferences requiring more learning time, I felt that my habit of collecting was beginning to dilute my readings. 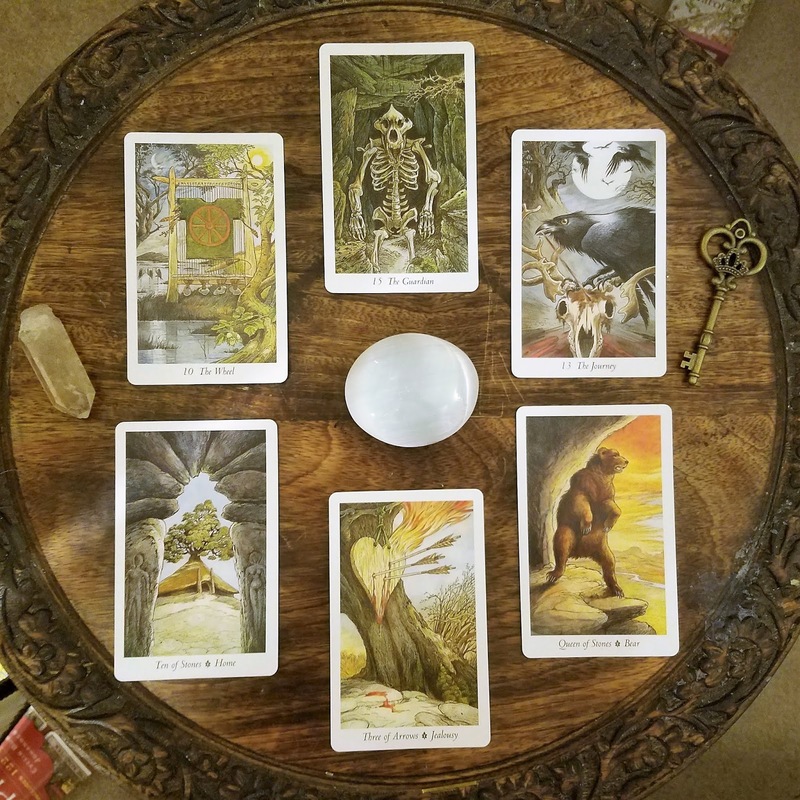 It was time to take on a deck with more meat, and when I began working with The Wildwood Tarot, I was not disappointed. At the point that I purchased the deck, I had not yet found my spiritual path. I have since joined a Druid Grove, and I was delighted to see how in tune the Wildwood is with my current spiritual journey. I regret delaying getting to know this deck for so long! The deck was created by Mark Ryan and John Matthews with illustrations by Will Worthington. For fans of The Greenwood Tarot, the Wildwood is a re-energized version of this popular and out of print deck originally illustrated by Chesca Potter. I found the deck on Amazon priced so affordably there was no way I wasn't at least giving the deck a shot. As of the time of this posting, the listing I purchased from was $13.34 USD. Normal retail is $19.95 USD. The deck comes in a book-sized box, which I always find handy for storing the book and deck together. My one complaint is that it is a thinner box, which you have to split the deck into half in each section. This is simply a personal preference, but I enjoy how decks such as the Wild Unknown and Linestrider hold all the cards in a single slot and still have room for the book. Considering how affordable the deck is, I view this as an incredibly minor complaint. The actual size of the cards was manageable. I can't claim to have especially small hands, but I certainly have delicate woman fingers. I was able to easily shuffle the cards and found them manageable for spreads. Overly large cards tend to not only be difficult at the shuffling stage, but also when trying to create larger readings. I also found the cards bent well, but not too well, for the shuffling. Yes, I'm going to tarot hell. I casino shuffle my cards. Because of this, I find it particularly important for the cards to be a reasonable size and sturdy. Though I love my Shadowscapes deck, I have found the material the cards are printed on are not withstanding my rough shuffling very well over time. I have not worked with the Wildwood for very long yet, but I foresee the deck maintaining its fidelity over time. 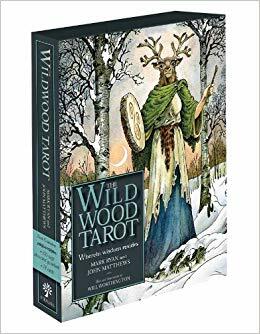 Will Worthington has illustrated other popular decks such as The Druidcraft Tarot, but I find his work much more impressive within the Wildwood! Each image is wonderfully detailed and brilliantly eye-catching. The backs of the cards are a gorgeously deep forest green with a white outlined Celtic Tree of Life. Each image feels like it was taken straight from a storybook which is what I enjoy most about the deck. Though I love the beauty of cards which each feel like a stand-alone piece of art, I love decks which use the images to allow a narrative to unfold in a reading much more. I believe this is my English degree surfacing in my reading style, but so be it! I absolutely love when a deck comes with a full companion book—especially one which doesn't assume you already know how to read tarot. I felt the book offered information in such a way that both beginners and more experienced readers could learn something new by reading the introductions. I particularly love the explanation of how the deck functions around the wheel of the year. 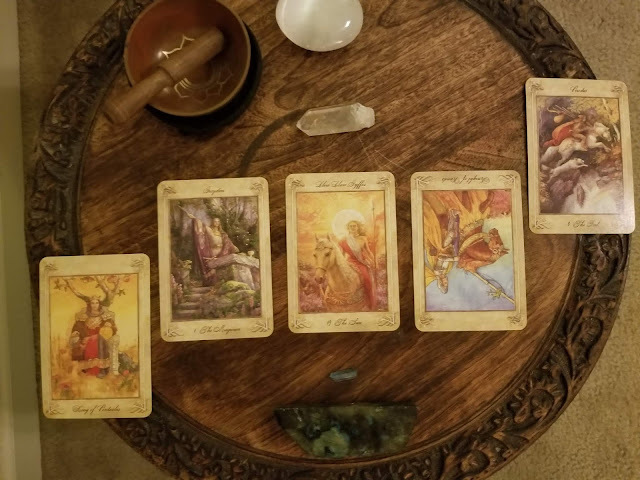 This approach to the Major Arcana was new to me and proved to be an incredibly insightful addition to my reading. Being based on the wheel of the year, this also demystifies any qualms you may have about conflicting tarot timing techniques and which to apply. The explanations of the cards were full with keywords and connected legends for further research. I find this makes checking myself much easier as I'm familiarizing myself with a deck. I'm always disappointed when I receive a large book to accompany a deck, but it's full of the author's own narratives. This unfortunately makes it hard to just do a quick check if each time you have to reread the story to grab the main points for the card. I prefer to be given the key points and allowed to create my own narratives. However, this is once again just my preference. For many of us, this is the most important part of a deck review! What's the personality of the deck? I was incredibly awed by what the spread revealed. The Wildwood didn't hold back and presented The Guardian as its primal force. This deck intends itself to be a challenge. It will not be easy to master, and I will have to face my own fears to master it. Another heavy hitting card, The Journey, surfaced to drive home the nature of this deck. The Wildwood's take on Death, the Journey is about facing the inevitable—facing fate and emerging stronger. The Queen of Stones discloses this deck is not one of earthly matters. It goes deeper and it will not pamper you along the way. I was startled by the appearance of the the Three of Arrows offering a new perspective on a card we know well as disappointment. Within the Wildwood, this disappointment is delved into further and uncovered to grow from jealousy. This deck will teach me to get to the source of problems, gain a different perspective, and it will help me clear my emotional insecurities. The Ten of Stones entreats me to make this deck a part of my home, my practice, and my family. What is the potential outcome of our relationship? The Wheel assures me that over time, I will learn to work within the threads of fate. That which is out of my control, I will learn to weave myself among the threads carefully. That which is within my control, I will learn to weave into a beautiful pattern. Please tell me about your experiences with this wonderful deck if you currently use it!! There are a lot of tarot cards with a bad reputation. Some deserve the cringe that comes unbidden which we carefully try to hide. For others, it's possible that we are letting our knee-jerk reaction to a traditionally 'bad' concept overtake us. The Devil, impish as ever, maintains his tarnished reputation gleefully. But is this reputation one that's well-earned? Or one we've attributed to the goatish little Capricorn card, making him more scape-goat than devil-goat? 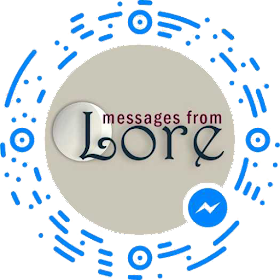 In our Daily Tarot Discord Community, we have what I cheesily named Holiday Ambassadors. I could not resist signing myself up for Mardi Gras. Being somewhat native to the area heralded as the true home of Mardi Gras, I felt it appropriate to be the ambassador of the holiday. However, as I searched for information to share I realized Mardi Gras was as misunderstood as The Devil. As I searched, I discovered so much conflict on whether the holiday was Christian or Pagan in roots. I even discovered conspiracy theories stating the holiday was never Pagan, but rather that churches wanting to discourage the revelry began rumors of its Pagan roots. What better way to prevent heathenry than to call it heathenry, amiright? To make this search even more fun, I found that the official Mardi Gras page considered disparaging the heathenry of the French Quarter during Mardi Gras season to fulfill the requirements of a page devoted to history and tradition. That's right. The official site dedicated its history page to promising visitors that the exhibition of breasts is not a Mardi Gras tradition and proceeded to blame the tourists. The very nature of Mardi Gras is a last hoorah before Lent. Regardless of its ancient associations, its current purpose is to celebrate from Twelfth Night until Ash Wednesday, the start of Lent. Lent is a time of sacrifice, of releasing from our lives that which we have become too dependent. Mardi Gras is to partake until we are forced to stop. Historically, Mardi Gras has been paralleled with Saturnalia as well as Bacchanals. 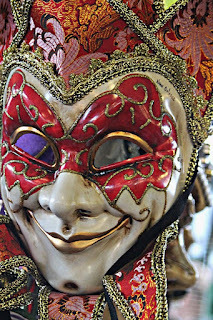 There's a dotted line to the Feast of Fools as well, but none quite line up to the timing of modern day Mardi Gras, leaving it primarily either a Catholic or secular celebration until firmer associations can be uncovered. The great lengths some go to distance themselves from the extravagance and excess of the celebration, reminds me of the intense reaction The Devil often evokes. Addiction as a meaning gets tossed about more fervently than plastic beads at Mardi Gras. Certainly, there can be too much of a good thing. Desire is a fickle and dangerous mistress, but there is so much more there! The chains don't bind. The Devil himself appears more amused than harsh in most cards. In other renditions, such as the Shadowscapes depiction, the devil isn't even paying attention. More than likely, you invited yourself to his festivities. The key is not overstaying your welcome. The card which appears before The Devil is Temperance—the Sagittarian card of integration. Temperance is about balance and allowing an ebb and flow of self through self. There are no barriers between the many aspects of self. Your Id, Ego, and Superego flow in harmony. Each are given proper expression when appropriate. The Devil's party is an appropriate time for your Id to roam free for a short time. However, in order to let him out then you must partake in something which is most certainly a Mardi Gras tradition—mask your Ego. By obscuring your identity, you in essence free yourself from the watchful eye of your superego. Your ego can gracefully deny responsibility, and your id's deepest whims are set free. In many ways, the mask becomes your true face. The impulses you repress and hide from society are able to spring naturally to the surface. However, be sure to remember the card which follows The Devil—The Tower. Stay too long and you will be thrown forcefully out. You don't have to go home, but you most certainly can't stay here! Ultimately, when The Devil appears it may be that you have chained yourself to pleasure, but there is just as strong of a possibility that you need to unchain your desires. Let your hair down and release the wildness in you that has been repressed, locked away in the dark spaces of yourself. Shuffle your deck however feels right. Or be super naughty and shuffle it casino-style. One time won't hurt it. When you're ready, go looking for The Devil. Yes, you heard me. Seek out that puckish card. The card immediately before will be the mask you wear everyday, or the face you present to society. The card immediately after will be what the mask hides that wants to surface. This is something that if you repress it too long may surface in ways that are unhealthy. Look at the card following this one as well to identify ways you can express your hidden self in a healthy way. With no further ado, laissez les bon temps rouler!